Citing lack of minimum safety standards, Air Kenya will halt operations into the Masai Mara’s main airfield, Keekorok, with immediate effect. This means that if you’re already booked on those flights, then you need to contact your tour operators or Air Kenya directly for alternate arrangements. Instead of Keekorok airstrip, Air Kenya will have all pick ups or drop offs to Olkiombo Airstrip, which is about 47 km (about 1.5 hour drive between the airstrips) from Keeorok. This affects all the air safaris during the peak annual migration period. Dropping this airstrip will no doubt cause challenges for lodge and camp operators which rely on the use of this particular airfield. Please call Air Kenya on +254.391.6000 for all inquiries. It could not be ascertained, due to the short time available, if other airlines operating scheduled services from Wilson airport to the Masai Mara will follow suit and also halt operations into this airfield, but going by past experience is it likely that the air operators will stand together over questions of flight safety. 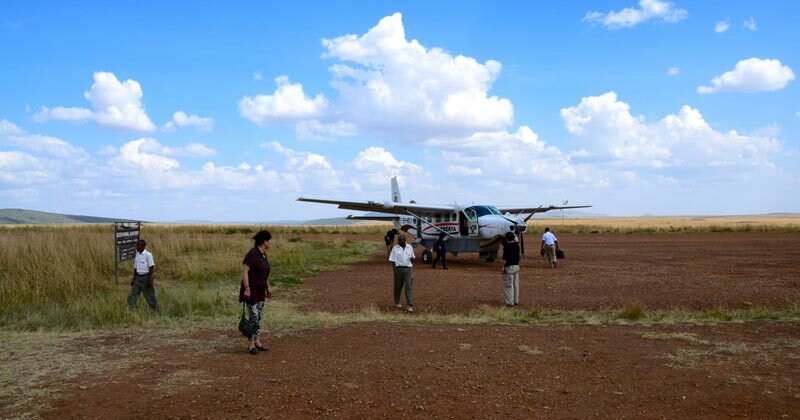 Clients booked on flights into the Masai Mara are, therefore, urged to contact their safari operators and seek clarification, if indeed their flights were due to go in or out of this airfield.